A desert scene of stark beauty. 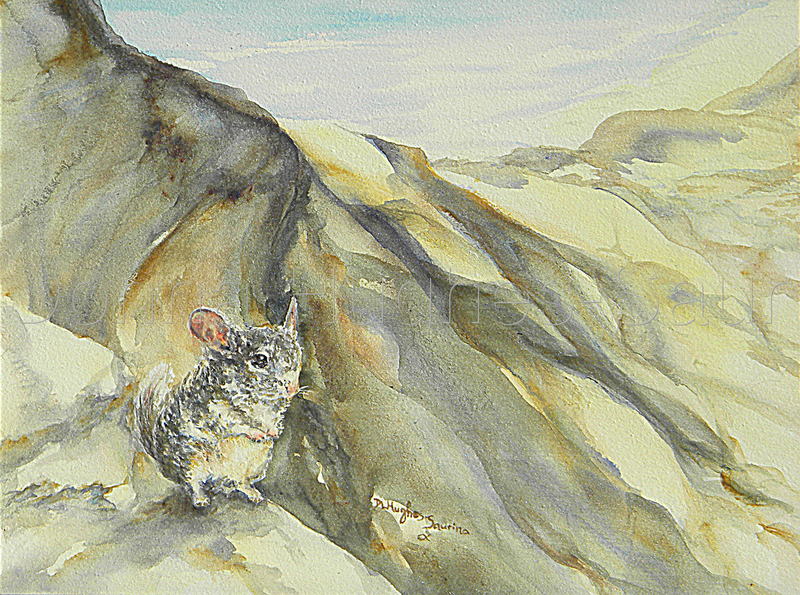 In the shadow of a dune, a small chinchilla waits. Duochrome irridescent colors add delicate granulation effects and texture. Original work framed in rustic gray-blue. 5" x 6.75"7" x 9.375"9" x 12.125"11" x 14.75"13" x 17.5"